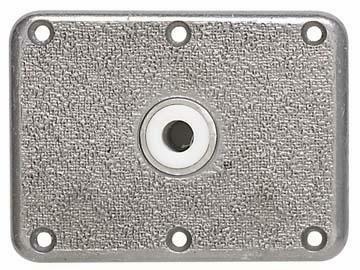 Pebble Finish aluminum base plate with six countersunk mounting holes and non-threaded nylon bushing. Accepts Lock’N Pin and most 3/4" pin posts. ABYC Code B.